MOTOTRBO Manufacturing Case Study – Radio Express Inc.
Motorola Solutions released this fantastic case study about lowering your manufacturing costs after installing a MOTOTRBO digital radio system. You’re on a challenging pace in manufacturing. With stiffer competition, tighter schedules, longer shifts and heightened emphasis on safety, today’s marketplace call for even greater efficiency and productivity to maintain an advantage, globally and locally. Whether you run a global network of warehouses or a collection of local plants, reliable communications throughout your entire footprint is vital for successful operations. Your workers need to connect clearly and without interruption – no matter where they are located or how loud their environment is. Our professional digital communication systems combine the best of two-way radio functionality with the latest digital technology. It integrates voice and data seamlessly, offers enhanced features that are easy to use and delivers twice the capacity of analog systems to meet your growing communication needs. With exceptional voice quality and longer battery life, MOTOTRBO keeps your workforce connected when communication is a must. Our new MOTOTRBO SL Series, XPR 7000e and XPR 3000e Series radios offer a smart new feature in digital mode – Intelligent Audio – that adjusts radio volume to fit an environment’s noise level. This means that the radio automatically boosts the volume level when the supervisor is on the factory floor, then automatically reduces the volume when he moves into a quiet office area. Whether your employees are working the line or walking the factory floor, with MOTOTRBO digital two-way radios and accessories you can communicate clearly and conveniently. If an emergency or accident happens, you can locate the closest personnel and dispatch them for immediate response. And if you want to determine if deliveries are on time and sent to the correct locations, you can coordinate your fleet with exceptional productivity and proficiency. Using the latest digital technology, MOTOTRBO provides clearer and crisper voice communications over a wider area than analog radios could ever do. Unlike analog, signal strength doesn’t drop off with distance or cause distracting static. MOTOTRBO digital radios deliver both voice and data with greater accuracy and virtually no loss throughout the coverage area. The result is clear communications with your workers no matter where they are in the plant. Emergencies do happen and you need to communicate with your workers when they do. 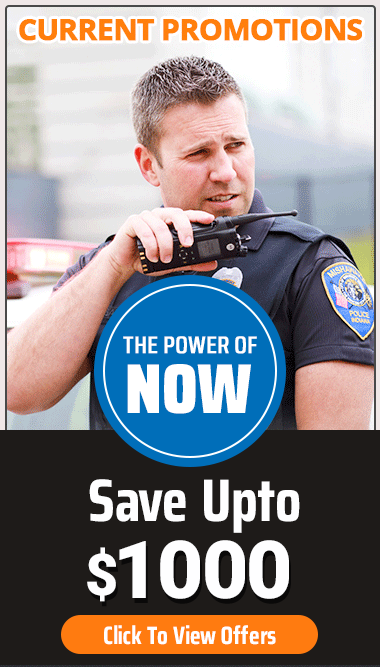 MOTOTRBO’s transmit interrupt suite – with voice interrupt, emergency voice interrupt and data over voice interrupt – enables you to prioritize critical communication the moment you need it. Track Supplies and Deliveries Even More Efficiently. Quickly locating inbound supplies and outbound deliveries is vital to smooth operations. With MOTOTRBO’s integrated GPS module, you can view where inbound materials are and determine expected arrival times to prepare your receiving department. And you can view outbound locations to ensure deliveries are on time and sent to the correct locations – all while coordinating your fleet with exceptional productivity and proficiency.